Tuberculosis is a contagious bacterial infection disease caused by the Koch bacillus (Mycobacterium tuberculosis: M.tb) that usually attacks the lungs, but sometimes also other parts of the body. This disease has been on the rise for some 15 years. Bacille Calmette-Guérin (BCG) is currently the only vaccine used to protect against tuberculosis. It is very useful in preventing severe disease in young children, but it does not protect reliably adult and immunodeficiency patients. So, the development of a safe vaccine that is more effective than BCG in eradicating tuberculosis in adults is a major goal of the public health. In view that infection caused by M.tb has proved recently to stimulate strongly the humoral immunity against adhesin such as (hsp70). Therefore, the aim of our study is the using of the immunoinformatic tools to predict the best linear B cell epitopes from “DnaK” adhesin (hsp70). Three best potential linear B cell epitopes (“DKGEKEQRILVFDL”, “AKIELSSSQSTSINLPYIT” and “HPGGEPGGAHPG”) were found to fulfill all the criteria for becoming an ideal B cell epitope. In addition the safety of these epitopes was evaluated using in silico techniques. In order to verify the binding cleft interaction between the selected epitopes and the antibody we used a docking method. 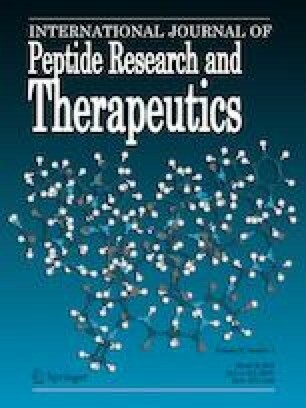 Our computational study allows us to predict and design three novel epitope-based vaccines or which in another target could be used in diagnosis of M.tb infection.